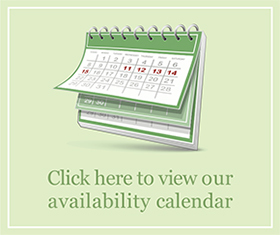 Please double check the availability with us, as it can take time for the calendar to update. If you wish to enquire about booking or reserving any dates, then please either fill out our Online Enquiry Form or contact us directly via our Reservations Page. Team for completion and acceptance of your enquiry. Terms and Conditions apply.